After the very interesting capture of a data scientist who worked on the launch of the hugely successful online game Candy Crush – in which one repeatedly crushes candy, I guess – Arsenal have continued their backroom shake-up by bringing in more left-field appointments as the post-Wenger revolution continues. 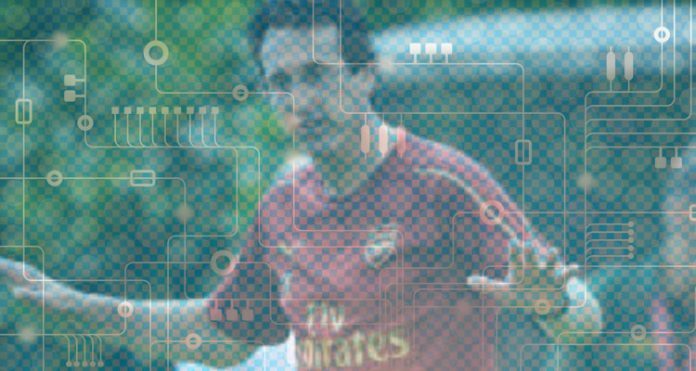 Emboldened by the need to embrace technology, Victor E. Ardeth, a Hungarian computer scientist has been added to Unai Emery’s coaching staff. He worked on the famous Angry Birds series of games, and will become the Assistant Shooting Analyst, poring over videos of players from training and matches and then providing feedback as to their technique and trajectory. Using his vast experience of hitting the target from distance, in all kinds of conditions and with many types of obstacles in front of you, it’s believed he could make the players up to 3.6% more accurate in front of goal. That might not sound a lot on its own, but in terms of chance conversion that kind of improvement, compounded across the squad, could see us score up to 18 more Premier League goals. People scoff at the use of data, preferring the good old days when we had our eyes and ears and the other four senses, but this isn’t just data it’s data with science, and when has science ever been wrong? Scientists, much like politicians, are infallible, and while many think the league will be won by whoever has the most to spend, the new reality is that He Who Has Most Scientists Wins. You can bookmark this and in the future people will go ‘Oooh, how right he was!’. In seriousness though, I find it hugely interesting to see the development of this side of the game. Maybe it over-complicates it for some – the simplicity of ‘I hit the ball first time and there it was in the back of the net!’ remains attractive – but football has always been a game where marginal gains can have a significant impact and this is another way of trying to find that half a percent somewhere that could swing a game in a favourable direction. At this point people roll their eyes a bit when we talk about the impact Arsene Wenger had when he first arrived, but his attention to detail when it came to things like diet, stretching, yoga, abstinence from alcohol, controlled training sessions, supplements, and all the other methods he brought with him to the Premier League played a huge part in our success in the first half of his career at the club. Eventually, others caught up, but it sparked an era of innovation among other managers as they looked to compete, keep up and find their own gains. Ice baths, cryo-chambers, and loads more developed alongside other more traditional methods such as tactical shifts. From an era when everyone played 4-4-2 we saw managers set up their teams differently, three in midfield became the new normal, and each new thing was about trying to find that something that others didn’t have in the pursuit of valuable Premier League points. That we’ve moved so heavily towards data and analysis of it is no surprise. There is so much we can learn about players from it and I have to qualify that, because it’s still necessary to do so, to say that of course stats don’t tell us everything. But what they do give us is greater context to performances and player ability. So, Player X who completed 95% of his 100 passes in midfield sounds like he had a good game on the basis of that info alone. But where did his passes go? When did they go there? How fast did he move the ball? What we were doing when he made those passes? How did they affect our momentum? Who was he passing to? Delving deep into those statistics will give you even greater depth when it comes to analysing the quality of his performance, and with that information the manager/coaches can decide what approach to take with him. They might want him to be more ambitious with the ball as too many are safety first, stat-padding passes. They might decide he’s too conservative for some games, but in situations where keeping possession is the required approach he’s the perfect guy for that. I mean, you could go very deep into this stuff and what it tells us because there’s simply so much data available now. Almost every conceivable stat is available for players and teams, both on the ball and off it, distance covered, sprints, recovery runs and so on, so it’d be foolish not to use it. All this information is used in conjunction with what the head coach and his staff see on the training ground and during matches. It augments that knowledge rather than replaces it, and the importance of it is illustrated in the fact that Unai Emery brought his own data/video analyst with him as part of his staff. It’s now a fundamental part of the game at this level, and it’ll be fascinating to see if our investment in technologies around this can provide the Spaniard with that bit extra here and there to help him make decisions which might turn one point into three, or no points into one. Right, there’s not a lot else going on this morning, but there is a brand new Arsecast for you to listen to – you can check that out here. For some extra reading, here’s Tim Stillman on wide players and wingers, and you’ve got until midnight to enter our competition to win one of three superb Arsenal prints. Next articleDo links to Barcelona’s Andre Gomes give us some insight into the Aaron Ramsey situation?